Microsoft is pushing out a new Windows 10 Insider preview build 15014 for PC and mobile build 10.0.15014.1000. The latest Windows 10 Creators Update (Redstone 2) PC build 15014 is now rolling out for fast ring insiders. You can read about mobile build 10.0.15014.1000 here. The latest insider build brings a bunch of new features as well as bug fixes and other improvements. However, few Insider members may face issues like download stuck at 0%’ and other problems with this build. Read here and here for fixes. Previously, the company released Windows 10 PC build 15007 and mobile 10.0.15007.1000 for insiders. E-book in Windows 10 Creators Update: Insiders with build 15014 in the U.S. can now purchase e-books from the Windows Store and read them in Microsoft Edge. After purchasing your e-books, you will find those in your Books library hub entry in Microsoft Edge. Microsoft will add more content over time. Interactive reading experience: To navigate through an e-book, you can use the table of contents or seek bar at the bottom of the browser. You can search for words or phrases and ask Cortana to define specific words and view embedded video and audio content. And of course, pick up where you left of and leave bookmarks on the most interesting pages. You can even read your books when offline. Learning tools: You can widen text spacing to improve reading fluency and benefit from typography tailored to reading efficiency. Customize for you: You can change the font and text size, themes, navigation control and more to match your reading. EPUB support: In addition to PDF files, you can also read any unprotected ebook in the EPUB file format with Microsoft Edge. Lighter shade for Cortana’s search box: Cortana search box now comes with a new lighter shade look on the taskbar. Bigger text in notifications for Cortana: Cortana’s voice in notifications and Action Center is now a bit larger and uses the accent color. Pick new custom accent color: Windows 10 Insider build 15014 comes with a new custom color option to Colors Settings. 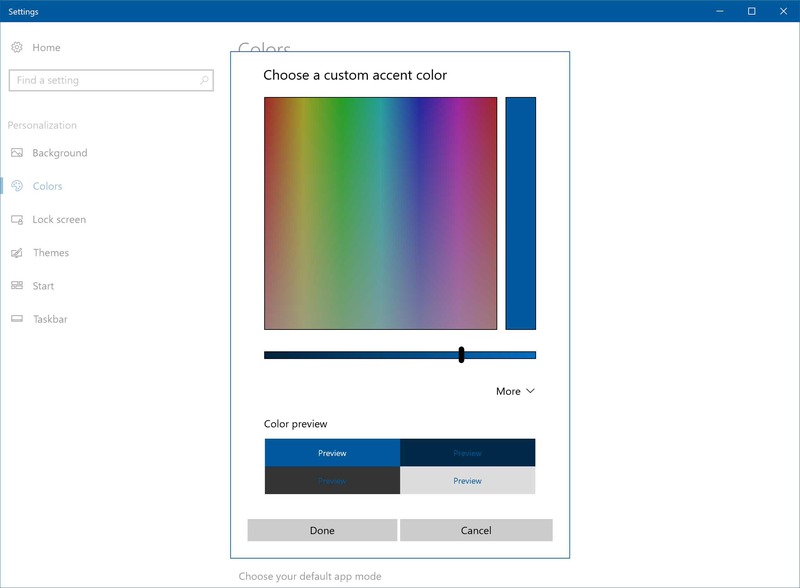 You can now select any color or use the color picker and preview your options. Members can also click “more” and enter the RGB, HSV, or HEX color code. Additionally, new custom color picker also available in Background Settings if you have “Solid Color” or “Picture” (type “Center” or “Fit”) selected. Automatically free up space: Windows 10 insider build 15014 now includes a new option in Storage Settings which automatically delete old files. Currently, the feature only deletes temporary files and items that have been in your recycle bin for 30 days. However, the option is off by default, but you can turn it on under System > Storage Settings and choose what it cleans up. New Wi-Fi services section in Settings app: Windows insider team has combined few advanced Wi-Fi settings. New ‘Wi-Fi Services‘ under Settings > Network & Internet > Wi-Fi now includes both Wi-Fi Sense and Paid Wi-Fi Services. Also, “Connect to suggested open hotspots” is one of the settings under “Wi-Fi services”. You may see the Mail app pinned to your Taskbar after updating to Build 15014. The Mail app is now pinned by default to the Taskbar starting with the Windows 10 Creators Update. If you unpin the Mail app after this change, it will not return. Some of our more nerdy Insiders will notice that build branch strings and timestamps have been replaced with static values in the version resources of OS binaries (for example – in the properties of a OS-specific .dll file). We compile builds for a lot of engineering branches every day. Each branch would produce nearly identically binaries except for the build branch string and timestamps. Rather than rebuilding all binaries, we will only build binaries that have changed. With this change we can now share binaries across branches making things more efficient for our engineering systems! To improve keyboard accessibility, we’ve updated Snipping Tool – moving the mode options under New over to a new Mode button. Clicking New will now immediately start the snip. Insider preview build 15014 fixed an issue resulting in the “Working on updates” screen unexpectedly showing a box instead of a progress wheel for some Insiders. Insider preview build 15014 fixed an issue where Desktop shortcuts containing the “%” character (usually URI shortcuts with escaped characters) would result in an Explorer.exe crash loop. fixed an issue where projecting to a secondary monitor could result in an Explorer.exe crash loop. Insider preview build 15014 fixed an issue where using CTRL + C to copy in Command Prompt wasn’t working. Insider preview build 15014 made some polish adjustments to the Background Settings and Printers & Scanners Settings pages. We fixed an issue some Insiders may have experienced where their laptops would bugcheck when closing the lid to put it to sleep. Insider preview build 15014 fixed an issue in our new Out-Of-Box-Experience (OOBE) where clicking “Skip this step” on the Microsoft Account creation page would unexpectedly loop back to “Who owns this PC?”. Fixed a translation issue in the Start menu for those using the Catalan display language – newly installed apps will now show “nou” next to them. Windows 10 Insider preview build 15014 for PC fixed an issue where the list of apps in the Surface Dial “Add an app” page via Settings > Devices > Wheel might unexpectedly be empty. Windows 10 Insider preview build 15014 for PC fixed an issue where Miracast wasn’t working on recent builds. 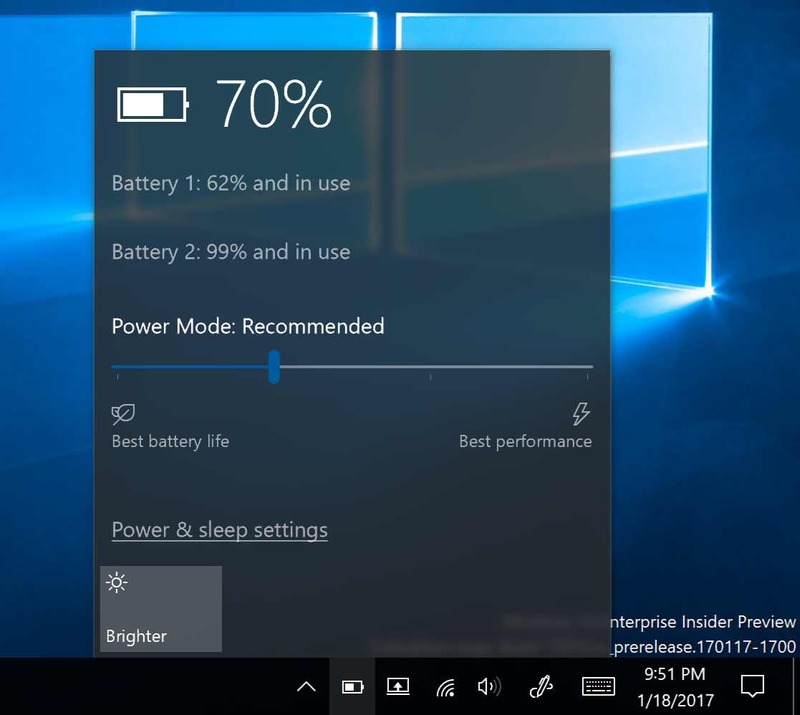 Windows 10 Insider preview build 15014 for PC fixed an issue where if a second notification comes in after dismissing a first notification and immediately opening the Action Center, that notification toast would show on top of the Action Center, rather than within it. Also fixed an issue that could result in sometimes seeing unexpected space at the top of the Action Center. Insider preview build 15014 fixed a deadlock from recent Insider builds that could result in the Action Center appearing blank. Windows 10 Insider preview build 15014 for PC adjusted our Action Center icon animation logic, so you will now no longer see the same app logo flash multiple times in quick succession after you first log in if many notifications have been received since last logging in. Stylized buttons in notifications are now aligned to the right – consistent with other system buttons in dialogs. When you use Win + V to set keyboard focus to a notification, we will now show a white focus rectangle around the X to dismiss button if you tab over to it. Insider preview build 15014 fixed an issue where refreshing a PDF displayed in Microsoft Edge would result in a blank page and you would need to refresh it a second time for the PDF to appear. Windows 10 Insider preview build 15014 for PC updated the alignment of the VPN connect button in the Network flyout to be right-justified and fixed an issue where it was unexpectedly displaying a grey border. Fixed an issue where brightness changes made via Settings > System > Display would unexpectedly revert after closing the Settings app. Insider preview build 15014 updated the WIN+X flyout to say “Apps and Features” instead of “Programs and Features”. Windows 10 Insider preview build 15014 for PC polished the animation when dropping a tile onto another tile in Start in order to create a folder. Fixed an issue where, if the User Account Control (UAC) settings were set to “do not dim my desktop”, running something from File Explorer as Admin could result in UAC displaying behind File Explorer. Fixed a capitalization issue in the “Open PowerShell here” context menu entry when you Shift + Right Click File Explorer whitespace. fixed an issue for Insiders where customized desktop icon layouts were lost after rebooting. Also, fixed an issue where when desktop icons were set to auto-arrange with a docked device and multiple monitors, undocking and docking the device could result in an unexpected desktop icon layout. Based on your very passionate feedback, we’ve adjusted the animation when lowering blue light to be a bit smoother. We’ve also made some polish tweaks to Blue Light Settings with more coming soon. Windows 10 Insider preview build 15014 for PC updated the system tray logic to be more robust when faced with bad data that could potentially result in Explorer.exe reliability issues. Windows 10 Insider preview build 15014 for PC fixed an issue where 3rd party UWP apps would crash on devices if the DPI settings on the machine are >=150%. Windows 10 Insider preview build 15014 for PC fixed an issue where if you were to upgrade from Windows 8.1 directly to recent Insider Fast builds, all your Store apps would have been lost during the upgrade process. IMPORTANT: The download progress indicator shown when downloading this build is currently broken under Settings > Update & security > Windows Update. It may look like you’re getting stuck at 0% or at other percentages. Ignore the indicator and be patient. During the installation of this build, Insiders may experience a storport.sys bugcheck (GSOD) causing them to rollback to the previous build. There is currently no workaround. The Netflix app may crash on launch. Try again and it should work. Connecting an Xbox 360 or Xbox One Controller to your PC running this build will cause the DWM to crash resulting in your display flickering and/or appearing blank or black. The game DOT2 will fail to launch an d pop up the message “Unable to start game” followed by error window. When using Microsoft Edge with Narrator, you may hear “no item in view” or silence while tabbing or using other navigation commands. You can use Alt + Tab when this happens to move focus away from and back to the Edge browser. Narrator will then read as expected. Taskbar preview icons are unexpectedly small on high-DPI devices. Windows Insiders will unexpectedly see a “Holographic” entry on the main page of Settings. Some websites in Microsoft Edge may unexpectedly show “We can’t reach this page”. If you encounter this, please try accessing the site from an InPrivate tab. On certain hardware types, the Netflix app crashes when starting a movie. Saying “Hey Cortana, play <item> on <AppName>” doesn’t work immediately after installing the app. Wait 5 minutes for indexing to begin and try again. Finally, Windows 10 build 15002 ISOs are now available for download. You can download ISO from here. 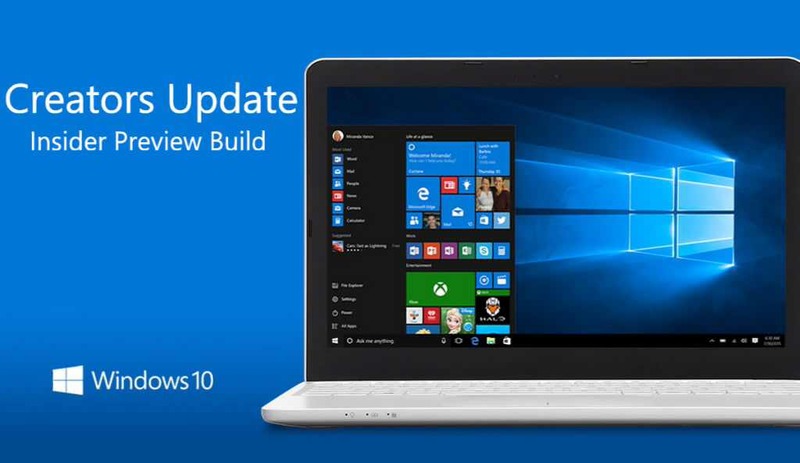 However, if you are looking for Windows 10 build 15014 ISO, you have to wait further. Currently, official Windows 10 build 15014 ISO is not available.